Today I decided to take a break from Fire Emblem translations to write a brief review for a book by Legends of Localization author and creator Clyde Mandelin. He has written two books thus far, focusing on the localization of the Legend of Zelda (NES) and EarthBound (SNES). I cover Book 2 here, and may cover Book 1 at a later date. Visit the legendary website here, and follow him on twitter here! Hardcover, 432 full-color pages, full of info for Nintendo fans, retro gamers, and aspiring translators / localizers! Clyde Mandelin has been a professional translator for 15+ years now, and maintains a popular website Legends of Localization that takes a look at video game localization by comparing Japanese and English games side by side. He is a major EarthBound fan, and the passion certainly shows throughout the book. He has written a book on The Legend of Zelda last year (2015), though it was not as in-depth. The book starts with an introduction and look at what localization is, exactly. He defines it in his own terms and gives the different stages of the process names and descriptions. It sets the stage for the core section of the book and is referred to often. It does not run on too long for those not interested, but still provides enough for those who are. The core of the book contains a very in-depth look at the way EarthBound (MOTHER 2 in Japan)’s localization was handled. Clyde points out differences with side-by-side screenshots and text, akin to the format he uses on his website articles. He goes through the game in chronological order, too, from start to finish, quite possibly making it the most detailed look at EarthBound’s localization (or any game localization, really) in print. There are many other things included beyond the core text comparisons. There are Japanese cultural tidbits and other forms of trivia sprinkled throughout the book that informs the reader of various contexts and obscure references that would be necessary to know in order to fully understand what is being conveyed and better appreciate the localization process. It goes beyond simply how something was translated, but why it may have been so. The book has plenty of primary sources, such as quotes from series creator Shigesato Itoi and a foreword by Localization Director Marcus Lindblom himself. It is a work that is visibly the product of thorough research and work. At first glance, it may seem to be a book that only EarthBound fans would appreciate or understand. As a personal example, I am not really that big of a fan of the game itself. And yet, I was able to thoroughly enjoy this book –even more than I thought I would. That is why the objective above lists “Nintendo fans” and not EarthBound fans specifically. All sorts of people can enjoy the book! Clyde’s approach is not simply an “inside joke” to fans of the game, but has very broad appeal. He provides all relevant contexts to explain a joke or a section, as well as giving background to a character or event in the game when necessary. Though some plot details are inevitably spoiled, there is not much shown between events or story sections if there was no relevant localization difference to showcase –meaning that those who have not played the game (and may intend to play it now) will still be able to enjoy the experience and seeing all the intricacies that come with it. Fans of course would already be familiar with all the characters and events –and thus be able to enjoy this book even more than the layman may. Clyde himself mentions discovering new things during the writing of his book, so there are likely plenty of new things for fans to discover too. In the end, everyone gets something out of it. The book is much longer and more in-depth than Book 1 (Legend of Zelda). This is partially due to EarthBound having so much more going on in it, yes, but more importantly Clyde’s sheer passion that shines through. He loves to talk about EarthBound and all the intricacies that went into the localization of the game. What I personally enjoyed (as an aspiring professional translator/localizer myself) was his introduction to localization. Clyde offers a look at the process straight from a professional localizer who has personal experience (and is able to talk about it, which is quite rare in itself) with the game. It was nice seeing so many terms and concepts that we often talk about laid out in a nice descriptive list. Despite the web offering information at our fingertips, the process of localization is still a rather big mystery beyond some articles that can be vague about the process. Clyde briefly talks about his own beginnings on writing comparisons and how people (and professionals) can grow and change over the years, which I resonated with too. I would gladly pay full price for this valuable insight and information alone! As a non-fan of the series, too, it is important to note that I was able to enjoy this book as an analysis of a game’s localization rather than simply an analysis of the game itself. I was able to enjoy and appreciate just how much work the localizers had to go through to make it come to life to a western audience. In comparison, I was able to enjoy Book 1 as both a Zelda fan and aspiring localizer as it was already. As such, I first thought I would not find much for me in this book, but wished to support the author so bought it out of passing interest. And I am glad I did! Because there was just so much more offered beyond what the book title may suggest. I look forward to whatever book comes next! Thank you Clyde, keep up the good work! Highly recommended for those interested in further reading about game development, especially translation/localization. Fans and non-fans of EarthBound will be able to find plenty of things to satisfy them as well as learn plenty about localization in general. Video game fans looking to expand their general knowledge may be satisfied too, (though perhaps not at full price.) Those who do not care much for game development, RPGs, or trivia regarding such are likely to be disappointed. My reviews are often more stream of consciousness (which is why you may see some ideas repeat in different sections) and address a few points (intended audience, etc) and simply are to start or aid discussions (or just give my opinion on something). I don’t really offer any “scoring” system and simply recommend it to certain types of people. I decided to write a review of Fire Emblem Fates today, a little ahead of the game’s release in the West. 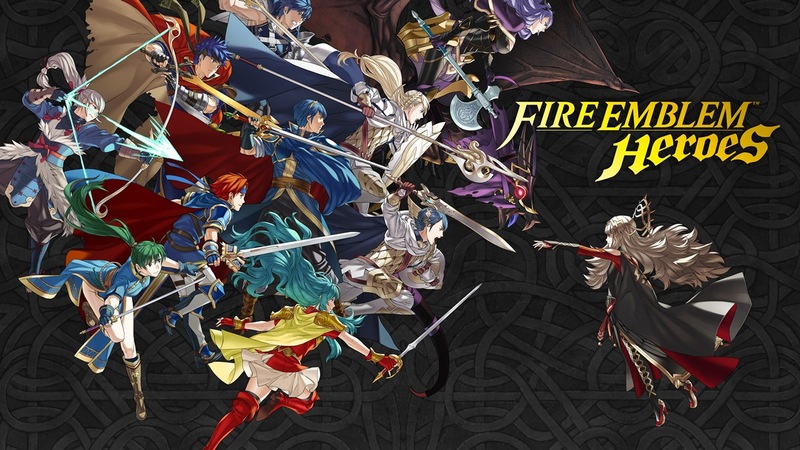 It is mostly written as a review to other FE fans (so gameplay is a given and only differences/new things are mentioned), but I do try to write it somewhat in a broader way for those who may be interested in the game but have not played any of the others. I divided it into several sections, as the games do differ in their gameplay and story. So, I cover the three paths in addition to the general game. Note that this is actually based on Fire Emblem if (as it’s known in Japan), so I do not discuss localization differences. That will be at a different date later on after I play the Western release. I do discuss story, but have managed to keep it spoiler-free (and with some references to what is already shown in promotional media, but not too much). 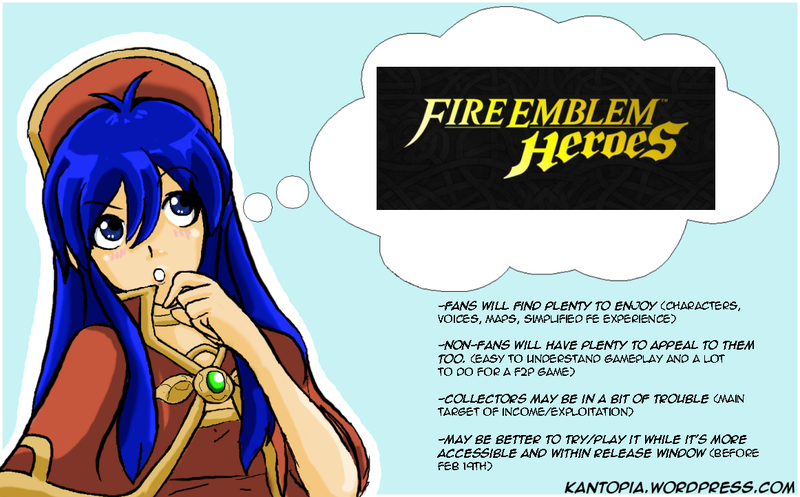 For reference, I am a long time FE fan (since FE7), I played this game back in June/July, and wrote several in-depth summaries of each path and some of the DLC, a chapter guide, a menu translation guide, and finally, a character guide. A final reminder that some things in reviews are inevitably going to be value-judgements. Story, especially, for instance, is really a “matter of taste.” I would hope this is common knowledge, but apparently is forgotten by others sometimes…so please, when reading about story flaws and upsides, remember that it is just the humble opinion of one writer and maybe a few other fans. It may give brief guidelines on what to expect of the story, but the final opinion should always be formed by you after playing it. As you can imagine, the process of writing this review took a lot of time (and passion! ), so if you are feeling generous, then…Please donate! It helps fund future projects! I hope you find this rather long-winded review useful in some way.